* Payment must be received upon applying for permit. Please make all checks payable to Talbot County. Credit cards and cash cannot be accepted at the counter. WILL NOT BE SCHEDULED UNTIL FRIDAY, APRIL 12TH. All new homes, commercial structures, additions, demolitions (at no charge), renovations, remodels, agricultural buildings, sheds, marine construction, swimming pools and fuel tanks. Exterior: Roof shingle repairs, siding replacement, painting, fences less than four (4) feet tall, sidewalks, at-grade patios, driveways, playground equipment or swings . Interior: Cabinet replacements, floor covering replacements, in-kind replacement of windows and doors or the repair of leaking pipes or fixtures. Zoning Permits are required for agricultural buildings, sheds (under 300 square feet), marine projects, and fences. They cost $70.00, payable by check, cashier’s checks or money orders, to Talbot County. Building permits are issued for all other projects, and fees are calculated based on the value of construction, the trades needed, and fees needed for additional reviews (forestry, flood, etc.) Talbot County only accepts checks, cashier’s checks or money orders. What is required to submit a permit? For a zoning permit: A completed application (Link), a completed checklist (Link) and four copies of a legible, to-scale site plan, drawn to an engineer’s scale, showing all property lines. For a building permit: A completed application (Link), a completed checklist (Link), four copies of a legible, to-scale site plan, drawn to an engineer’s scale, showing all property lines and three legible copies of your building plans drawn to an architect’s scale (minimum ¼”=1’0” scale). 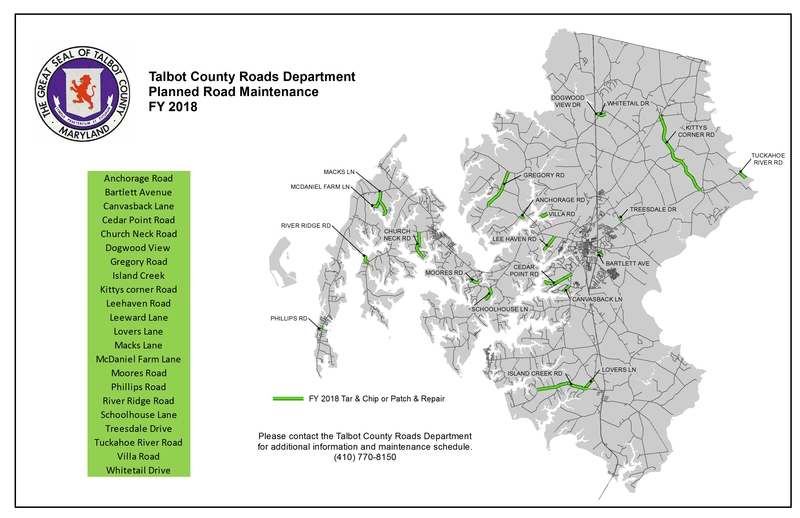 I’m looking for information regarding purchasing a property in Talbot County. How can your office help? We can provide basic information regarding zoning setbacks for your prospective property. We also fulfill Public Information Act Requests (Link) for information we may have regarding past or outstanding permits. Where does you office have jurisdiction? 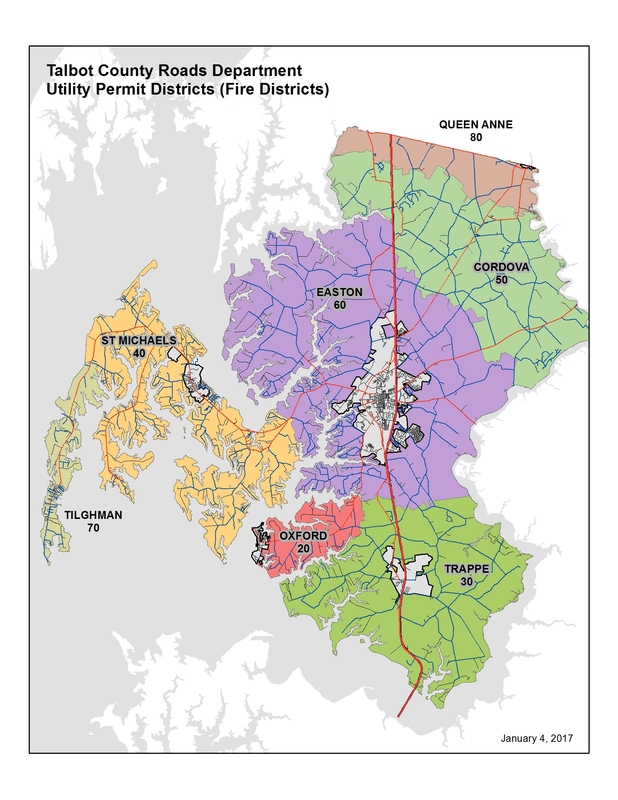 In all areas of Talbot County, Maryland except the towns of Easton, St. Michaels, Trappe, Oxford and Queen Anne. More Frequently Asked Questions are available here (Link). Open Monday - Friday 8:00 a.m. - 4:30 p.m. Permits will not be accepted after 4:00 p.m. In order to receive buiding code updates, please send your e-mail address to bgarner@talbotcountymd.gov (please reference you would like to be on our e-mail list and if you are a building contractor, HVAC Contractor, Plumbing Contractor, Architect, engineer or designer). When these changes are announced we will post on our website and also e-mail.